You need a reliable source of power at all times to keep your equipment running. For occasional, temporary or emergency power generation needs, you can count on Western States Cat. We have convenient locations spread across Western Montana, Idaho, Eastern Washington, Oregon and Wyoming and keep a fleet of Cat® generators ready to put into service. Do you need power as a primary source at a remote location or to provide backup in case of an outage or emergency? We have the reliable and efficient equipment you need. We’re proud to carry the Cat brand of generators so we can offer you greater performance and durability. All of our equipment is serviced and inspected by our technicians between rentals. That’s our way of ensuring that when we deliver rental generators, we’re sure they’re ready to go. What industry are you in? Maybe you are in the healthcare, water treatment or data storage and need a reliable source of power. Perhaps you are in charge of an industrial site that needs a temporary generator rental as a backup to keep your machines running. Or you are in charge of an electrical installation and need a reliable source during maintenance and upgrade operations. Your needs are unique to your business which is why, here at Western States Cat, we take the time to get to know you and understand your requirements. Our dedicated rental team has spent years meeting the needs of customers across the Western States in cities like Spokane, Hayden, Jackson, Missoula and Twin Falls. Fill in our online contact form or call us for more information and a free Cat generator rental quotation. We can tell you more about the great performance, efficiency and reliability of our power generation products and help you choose the perfect model for your application. Keep the lights on and equipment running with a little help from Western States Cat! As busy as the normal workday is, we know it’s tough to plan ahead – or plan for emergencies. That’s where we come in. 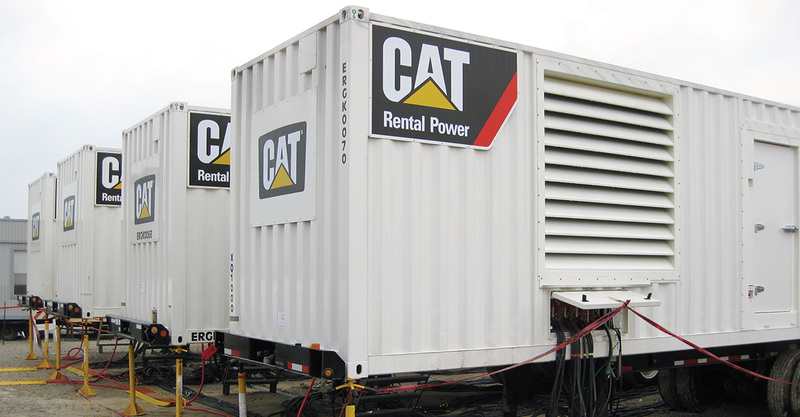 Our vast rental fleet inventory can accommodate any temporary power need, for both emergency back-ups and planned shutdowns. If the need arises, we can deliver temperature-control equipment, air-compression solutions, and a whole range of other related equipment needs. Whatever the scenario, we can see you through it. For additional information about Power Generation Rental, contact us at 800 852 2287 or by email.